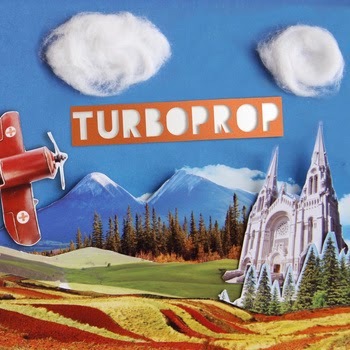 bebop spoken here: CD Review: Ernesto Cervini - Turboprop. Whilst retaining the almost unstoppable drive of Blakey's band Cervani, no lightweight behind the kit himself, has brought the music alive again for newer listeners with some superb originals of his own as well as reinventing Bird's Red Cross, Jarrett's The Windup and Claude's [Debussy] The Engulfed Cathedral - I doubt if the original Messengers would have got anywhere near this! The horns blow in the hard bop tradition yet manage to respect Debussy on the latter number. If, at times, it may have been thought Debussy was turning in his grave, rest assured it was only so he could hear this gorgeous piece better. Apart from being a fine drummer, composer and arranger, Cervani is very much a promoter of Canadian jazz and this CD is as good an example as you're going to hear of what is happening across the [North American] border today. Available now - check it out.